These are my bikes, at the moment all current. I ride *most* of them, but love all of them equally. They're in chronological order from when I got them, starting with the newest. And yes, I name my bikes. 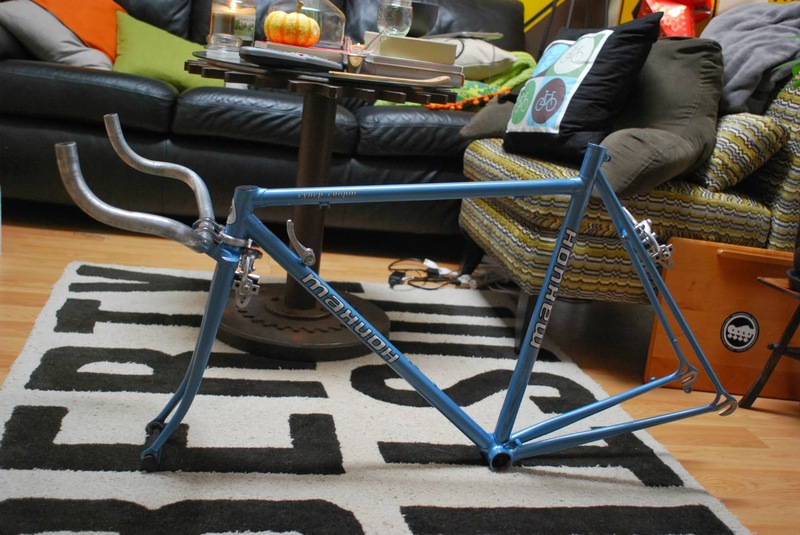 This frame popped up in my size (which is incredibly, stupidly rare) so I jumped at the opportunity to own one. 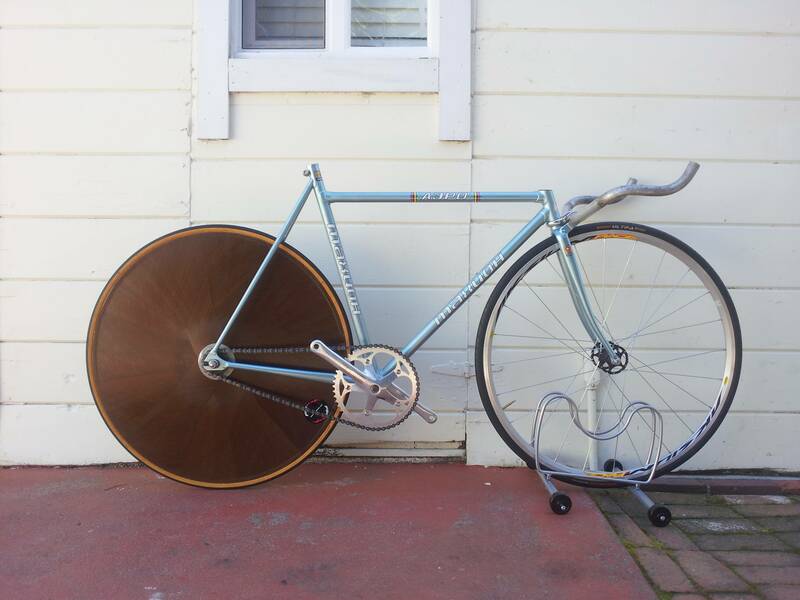 So far it has all XB3 Sport parts (no Rekord here) and will be used mostly on the track, but probably sometimes on the street as well with a Keirin brake. 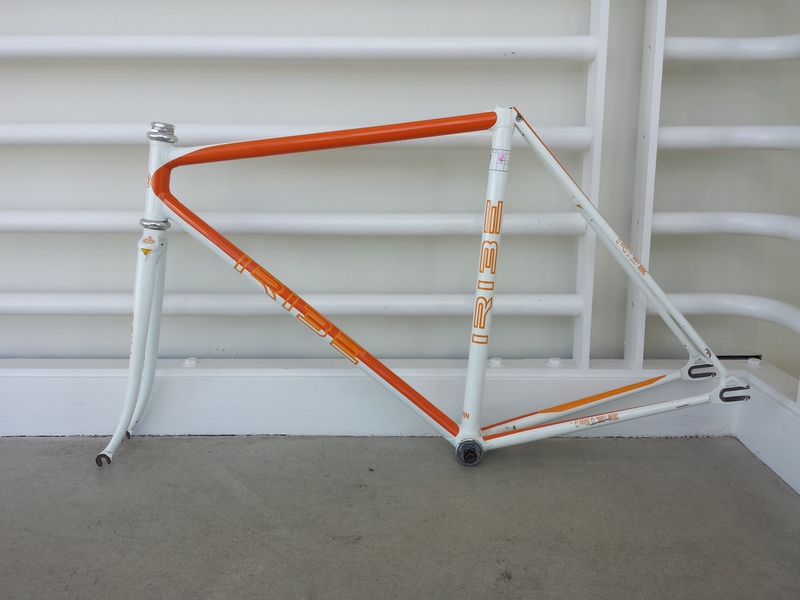 A well used, well loved frame that I am very fortunate to have, and I promised the seller that I would take excellent care of this nifty bike. Very much out of the realm of what I usually work on, I had been eyeing this frame for some time before a series of events destined that I would be moving much closer to a velodrome. So, I decided to bite the bullet! 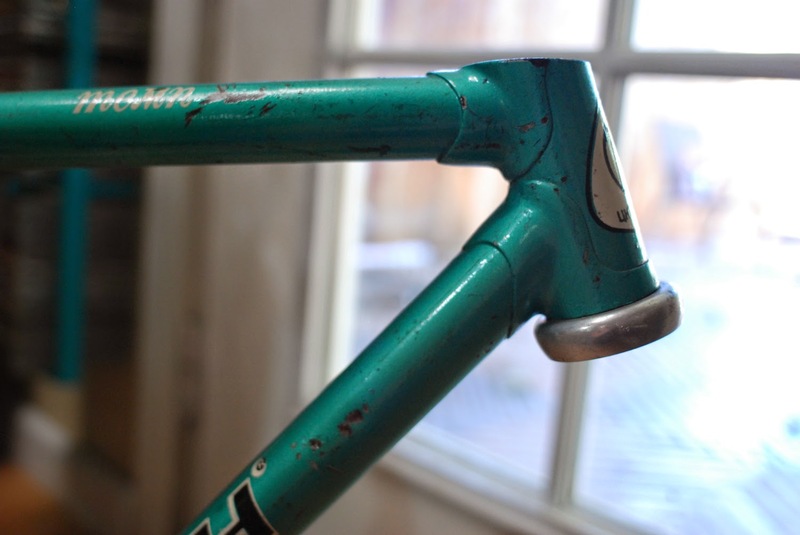 It's going to have a full NJS cockpit once it's done, and the nice thing is that finding parts is easy. 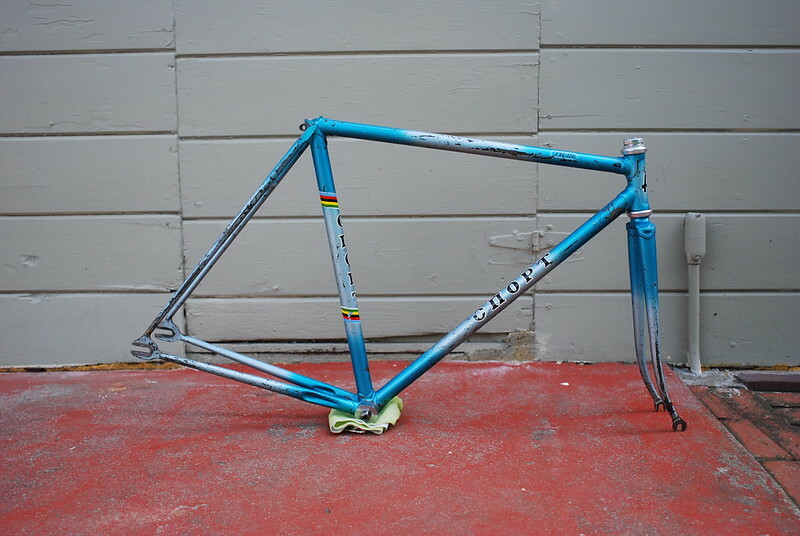 I traded another Takhion Aero from that I had for a very sad looking, spray painted matte red Takhion frame. Going by the serial number, it was determined that originally it should have looked like this, and now it does! Frame was found in 2013, and now is just waiting on Takhion parts that are getting harder and harder to find. This one is still waiting on name! My pride and joy. 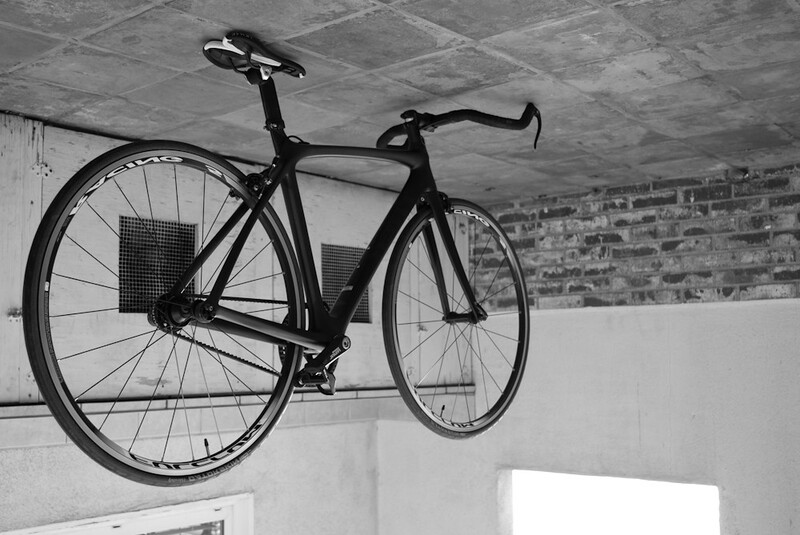 Made while I was at the Yamaguchi Frame Building School in April of 2013, it rides like nothing else. Name: Oblivion. NOT A TAKHION. It has Takhion decals that someone put on in their garage, and since they're under a layer of clear coat they're not coming off. I've never advertised it as a Takhion, or claimed it was in any way. It's not a Takhion, just a fun little super aggressive parts bin bike that I keep at my family's house so I have something to ride when I'm visiting them. Thrown together somewhere in 2012. Name: Zakat. The second Takhion I found, and this picture is quite old. Found in April of 2012, this is the closest one to my size at 54.5cm. Name: Stryelka (Cтрелка). 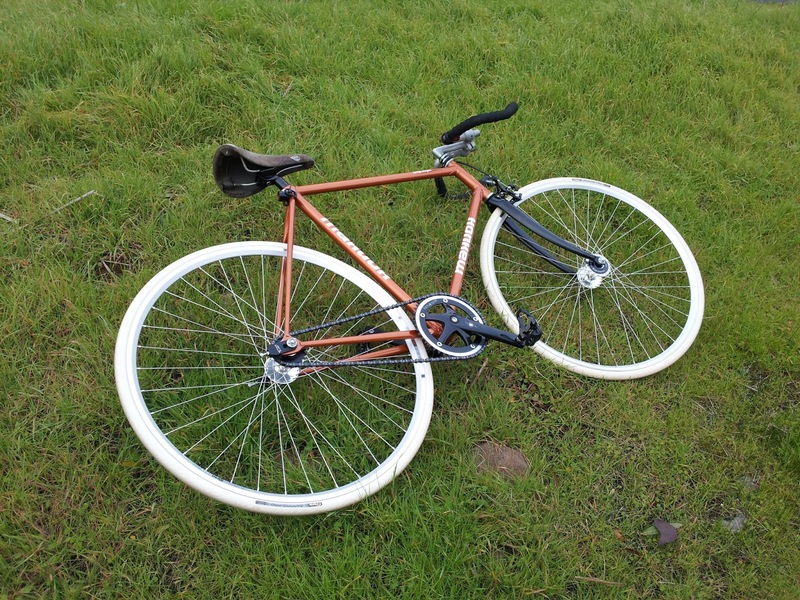 My first adventure with a belt drive, I found the frame online and built it up the way I wanted it, back in 2011. 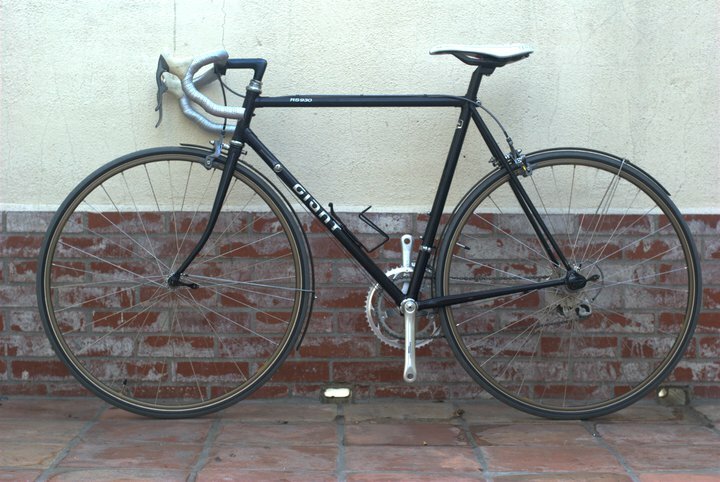 A pure joy to ride, it's been on everything from beach commutes to 80 mile jaunt. Name: Haev. The first Takhion I found back in 2011, this poor frame has been through a lot and is truly dear to my heart. After breaking a clamp due to the wrong size handlebars being used, the fork went to Ukraine for repair and is currently waiting to be repainted. In the process of being built up the way it deserves to be. Name: Ragatka (Pогатка). 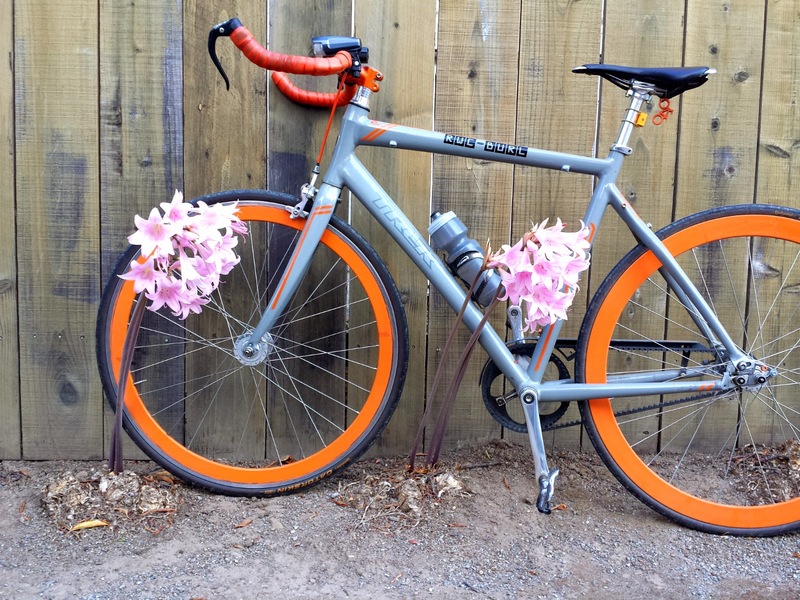 A Goodwill project from 2010 and my go-to bike when I was living in LA, I love this Giant, but it's not quite my size. Lots of fun to build and the frame is a deep blue that glitters purple in the sunlight. Name: Se7en. Sadly, in February of 2015 I found out I had to relocate for work, and decided to give this bike to a good friend of mine who will treat it right. I miss this beautiful machine, but it was the wrong size for me and is now being loved by someone else.